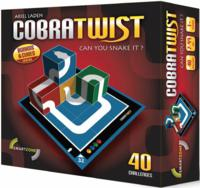 A 3 Dimensional logic game that combines the classic Cobra Cubes with various challenge boards. Place the cubes on the boards to create 3D snakes that will keep you rattling for hours! Follow the clues on the challenge boards, and place the cubes accordingly Develops 3 dimensional logical and spatial vision 4 cobra cubes, 40 challenges, 1 base line card, 1 rules and solution booklet. Treehouse is a fast, fun, easy-to-learn game for 2 to 4 players, winner of the Origins Award for Best Board Game of 2006. Your goal is to rearrange your pyramids to match the set in the center of the table, using only the moves you roll on the custom die. 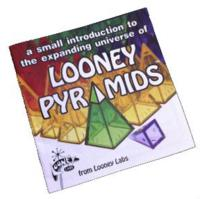 Rules to a bonus game, Pharaoh, are also included, along with a colorful 24 page Guide to Looney Pyramids promoting the game system and 11 other games that can be played with the pyramids. Packaged in a pyramid shaped zippered pouch (5.5" x 3.25" x 3.25") with 15 pyramids, 2 custom dice, and instructions for two games. 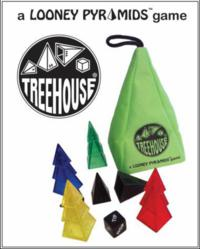 This 32 page book/magazine contains the full rules to all 13 of the games that are promoted in the Pocket Guide to Looney Pyramids which is included in both the IceDice and Treehouse game bags as well as the boxes of expansion pyramids. Two copies of this rules primer are included in the Demo Kit, so you have the rules to teach the games, and stores can buy single copies at their standard discount off the $6 MSRP – but we will also sell stores a 10-pack at a 70% discount off MSRP. At only $1.80 each stores can give one away with any large purchase of pyramids and/or use them as prizes at events! 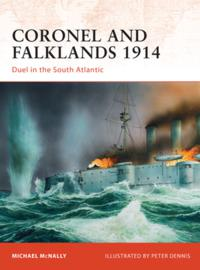 The first in a new line of box sets designed to complement the ever popular Victory at Sea naval warfare game, Battle of the Denmark Strait provides everything you need to fight the first classic confrontation with the Bismarck. 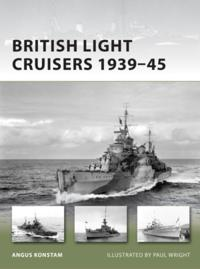 Inside are four 1/1800 scale warships with an exquisite level of detailing, including the Bismark, Prinz Eugen, HMS Hood and HMS Prince of Wales. 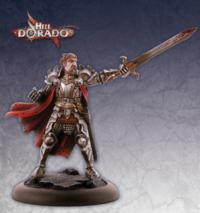 All models come with an integrated and wave-textured base, resin hulls and metal detail parts, yet remain easy to construct and will be on your tabletop in fighting form in no time! New from Fun to 11! 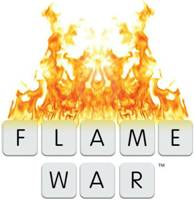 Flame War is a stand-alone card game where each player takes the roll of a forum administrator. Players start threads, post to threads, flame and troll each other, and eventually close down the threads. The player who abuses their internet powers the most by closing down the most active threads wins! Flame War was designed by veteran game designer Andy Chambers. Andy was a key designer at Games Workshop for over a decade, designing games like Warhammer 40K 2nd edition, Warhammer Fantasy Battle, and more. Recently, he was the creative director for StarCraft 2. Flame War is the game he carried in his pocket to play with friends in bars, available to the public now for the first time. The Japanese High Command realized that the loss of Okinawa would give the Americans a base for the invasion of Japan. Its desperate response was to unleash the full force of the Special Attack Units, known in the west as the Kamikaze (‘Divine Wind’). In a series of mass attacks in between April and June 1945, more than 900 Kamikaze aeroplanes were shot down. Conventional fighters and bombers accompanied the Special Attack Units as escorts, and to add their own weight to the attacks on the US fleet. In the air battles leading up to the invasion of Okinawa, as well as those that raged over the island in the three months that followed, the Japanese lost more than 7,000 aircraft both in the air and on the ground. In the course of the fighting, 67 Navy, 21 Marine, and three USAAF pilots became aces. 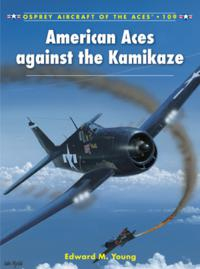 In many ways it was an uneven combat and on numerous occasions following these uneven contests, American fighter pilots would return from combat having shot down up to six Japanese aeroplanes during a single mission. 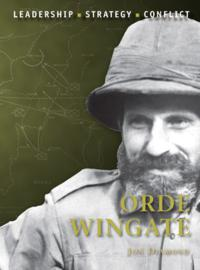 Orde Wingate rose to fame by creating the Chindits in Burma in 1943. 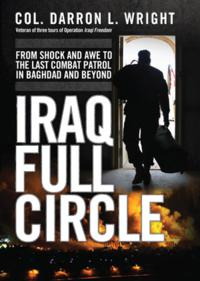 He is an extremely important figure in military history, and deserves just as much attention as Alanbrooke, Montgomery, and Auchinleck. Unlike them, however, he always operated outside the accepted etiquette and the formal chain of command. He was a maverick and misfit, and he held to the belief that the type of mass warfare demonstrated on the Western Front (1914–18) had very little to do with the warfare of the future. 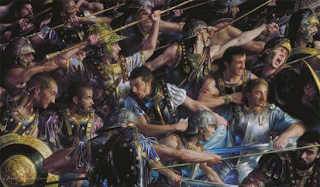 He believed that the latter would require an 'indirect approach', in which heavily lumbering armies would be exquisitely vulnerable to small groups of highly motivated, mobile and well-armed guerrillas. 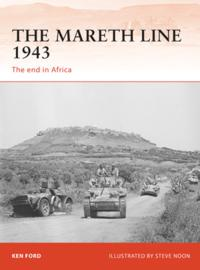 This book covers Wingate’s experiences in pre-war Palestine, in Ethiopia in 1941 (where he formed an irregular guerrilla unit to harass the Italian garrisons) and in World War II Burma, where the two Chindit campaigns would be his apotheosis. A total of 10,500 missiles were launched as part of the V1 attack, of which 3,957 were destroyed by the defenses. Indeed, it could have been much worse, for by the end of the war the Germans had manufactured close to 32,000 flying bombs. The defenses put forward to guard against the V1 were formidable – 23,000 men and women with their guns, radar and communications networks were installed on coastal sites. Squadrons of Britain’s newest Spitfires, the F XIVs, and Hawker Tempest Vs were kept at home to battle the new menace. Rushed into action in July 1944 to help counter the V1 threat, Britain’s Gloster Meteor I was the first jet fighter to enter RAF service. 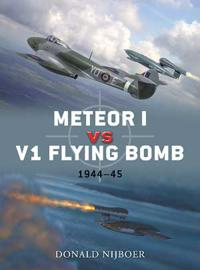 On 4 August the Meteor scored its first V1 victory. 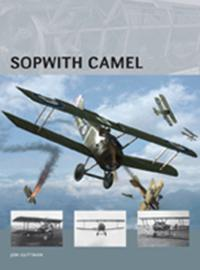 Having just closed in on a flying bomb, its officer squeezed the trigger but his guns jammed. Using the Meteor’s superior speed, he was able to overtake the missile and, using his wing tip, he tipped the craft over and sent it crashing into the ground. The interceptions between the V1 and Britain’s Gloster Meteor were historic, and ushered in a new era of aerial combat. On the Soviet side, based upon lessons from the Spanish Civil War, the Red Army decided to develop a heavy “breakthrough” tank to smash enemy infantry defenses. This resulted in the KV-1 and KV-2 tanks, introduced in 1939. At the start of Operation Barbarossa, both these tanks were virtually invulnerable to the weapons of the Panzerjäger and demonstrated their ability to overrun German infantry on several occasions. This advantage gave the Red Army a window of opportunity between the fall of 1941 and the spring of 1942 to use their heavy tanks to repel the German invasion in a series of desperate counteroffensives. 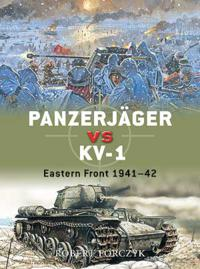 Yet the window of Soviet advantage was a narrow one and the duel between the Soviet KV heavy tanks and German Panzerjäger had a major impact upon the struggle for the strategic initiative in 1941-42. Starting in 1940, Germany was subjected to a growing threat of Allied bomber attack. The RAF night bombing offensive built up in a slow but unrelenting crescendo through the Ruhr campaign in the summer of 1944 and culminating in the attacks on Berlin in the autumn and early winter of 1943-44. They were joined by US daylight raids which first began to have a serious impact on German industry in the autumn of 1943. 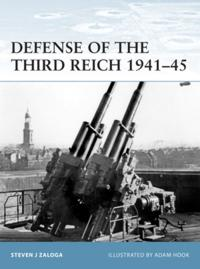 This book focuses on the land-based infrastructure of Germany’s defense against the air onslaught. Besides active defense against air attack, Germany also invested heavily in passive defense such as air raid shelters. While much of this defense was conventional such as underground shelters and the dual use of subways and other structures, Germany faced some unique dilemmas in protecting cities against night fire bomb raids. As a result, German architects designed massive above-ground defense shelters which were amongst the most massive defensive structures built in World War II. 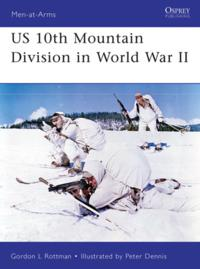 The 10th was the only US mountain division to be raised in World War II, and still has a high profile, being involved in operations from Iraq to Somalia and from Haiti to Afghanistan. 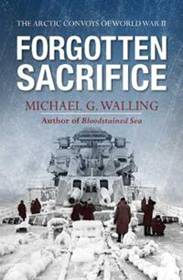 It did not arrive in Europe until winter 1944/45, but then fought hard in the harsh mountainous terrain of Northern Italy. The division was special in a number of ways. Its personnel were selected for physical fitness and experience in winter sports, mountaineering, and hunting, unlike the rest of the infantry. It was highly trained in mountain and winter warfare, including the use of skis and snowshoes, while its organization, field clothing, and some personal equipment also differed from that of the usual infantry division. The division made extensive use of pack-mules, and its reconnaissance unit was horse-mounted, conducting the last horse-mounted charge in US history in April 1945. 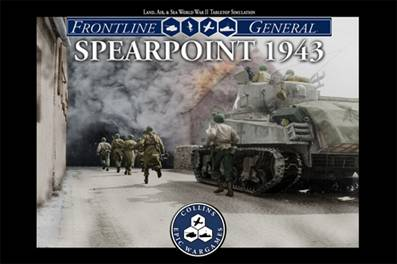 Featuring full-color artwork and rare photographs, this is the gripping story of the US Army’s only mountain division in action during the closing months of World War II. In August 1745 Charles Edward Stuart, the ‘Young Pretender’, landed in Scotland and sparked the Second Jacobite Rising. The Jacobite forces seized Perth, then Edinburgh, where they proclaimed the Young Pretender’s father King James VIII; they trounced their Hanoverian opponents at Prestonpans and crossed into England, getting as far south as Derby before withdrawing into Scotland. Far from universally popular north of the border, the Jacobite army bested another Hanoverian army at Falkirk and besieged Stirling, only to be routed by the Duke of Cumberland’s army at Culloden in April 1746, a crushing defeat that ended any prospect of a Stuart restoration. 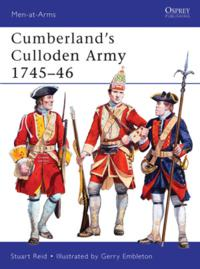 Featuring full-color artwork depicting the distinctive uniforms of Cumberland’s men, this exhaustively researched study offers a wealth of detail of regimental strengths and casualties and includes an extended chronology that places individual units in specific places throughout the campaign that culminated at Culloden. With the MG 34, the German Wehrmacht introduced an entirely new concept in automatic firepower – the general-purpose machine gun (GPMG). In itself the MG 34 was an excellent weapon: an air-cooled, recoil-operated machine gun that could deliver killing firepower at ranges of more than 1,000m. Yet simply by changing its mount and feed mechanism, the operator could radically transform its function. On its standard bipod it was a light machine gun, ideal for infantry assaults; on a tripod it could serve as a sustained-fire medium machine gun. During World War II, the MG 34 was superseded by a new GPMG – the MG 42. More efficient to manufacture and more robust, it had a blistering 1,200rpm rate of fire. Nicknamed ‘Hitler’s buzzsaw’ by Allied troops, it was arguably the finest all-round GPMG ever produced, and alongside the MG 34 it inflicted heavy casualties. 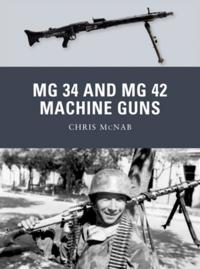 Featuring specially commissioned full-color artwork and drawing upon numerous technical manuals and first-hand accounts, this study explores the technological development, varied roles and lasting influence of the revolutionary MG 34 and MG 42 machine guns and their postwar successors. 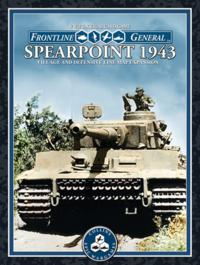 New Expansion to Frontline General: Spearpoint 1943 by Collins Epic Wargames! Spearpoint 1943 is a fast playing card game that uses 175 tactical Unit Cards, Command Cards, and Damage Cards to simulate plausible frontline combat at a fast pace. Play tense tactical Situation games or Standard games! Unit statistics based on years of research yield historically-plausible results with every battle. Non-CCG deck construction element with great expansion potential. What if the Keepers of the Elven Rings had used their Rings of Power to challenge the might of the Dark Lord? What if the Balrog had risen out of Moria to bring fire and fury to the lands of the Free Peoples? What if the Council of Elrond had decided differently regarding the Fellowship of the Ring? 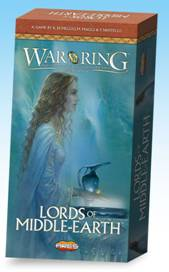 With Lords of Middle-earth™, the first expansion for the War of the Ring™ Second Edition boardgame, players may explore these possibilities, together with many other ones, to create fresh gaming opportunities and new strategies. Important personalities, previously featured in the game only through Event Cards, are represented by specific figures and rules. New Characters include Elrond, Galadriel, Sméagol, Gothmog and the powerful Balrog of Moria, as well as alternate versions of Gandalf, the Witch-king and the Mouth of Sauron. New special Action Dice are included: Elven Ring Keepers dice for the Free Peoples player and Lesser Minion dice for the Shadow player. New versions of all the Companions of the Fellowship of the Ring are also included, to play the optional “Council of Rivendell” rules. 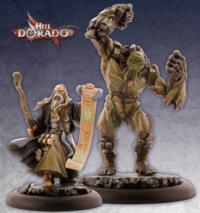 As an added bonus, figures for Aragorn and Gandalf the White are provided, accessories to the game that fans have been eagerly awaiting! This updated version of the popular War of the Ring™ Card Box features new character art, with a great portrait of Gandalf the Grey and the symbol of the Free Peoples. For dedicated gamers who need to keep their War of the Ring™ Second Edition and in its expansions cards in perfect shape, this accessory is the perfect solution to store and protect them. 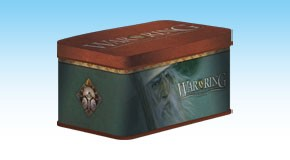 Included in this set are: — 120 custom card protectors, fitting the tarot size cards used in the second edition; — an exclusive sturdy full color tin box using fantastic artwork by John Howe, embossed with the “War of the Ring” logo. The sleeves are also compatible with the cards included in the War of the Ring™ Collector’s Edition and in the Lords of Middle-earth™ expansion. Note: the previous version of the War of the Ring Card Box (WOTR005) is sold out and will not be reprinted. You are the Chief of your group of outlaws and you must win a maximum of gold and silver by attacking banks and stagecoaches. You will have to be clever to estimate the number of outlaws needed to attack; and watch out for the Sheriff and your opponents! This game is played in rounds. Each round, players bid on the right to perform the next bank robbery, using the members of there robber band (outlaws). The winner of the bid attacks the city, which will often net him some gold and give him new outlaws (by freeing them from prison). However, which city is attacked is determined by the difference between the winning bid and the lowest bid. So, bids from the other players will influence the winner's gains. 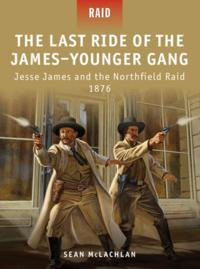 The player with the second highest bid will attack the stagecoach and gain some silver. 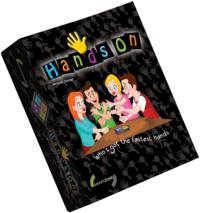 The game ends when no player has an outlaw left or all players refuse to bid on a given round. The player who has collected the most gold and silver wins the game. New Expansion to Space Empires by GMT Games! 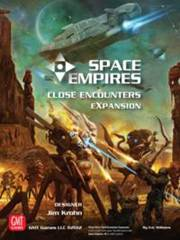 Space Empires: Close Encounters is the first expansion to Space Empires: 4X.Alien races meet up close as they encounter each other for the first time in ship boarding engagements and planetary invasions with different types of ground troops. The strengths and weaknesses of each alien empire are brought out with roughly 20 unique racial abilities. The expansion takes advantage of the streamlined nature of the game system to add more technology and cool sci-fi things in very simple ways. While it is designed to be used as a whole, the expansion is modular and players can choose to use only the parts that they like. WWII strategic level game. 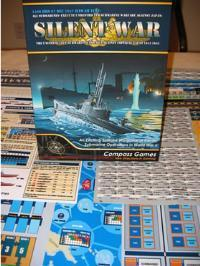 Although not a card driven game (and thus a good candidate for solitaire play), TW includes card play for the U-Boat War, Strategic Bombing, Espionage and Counter Espionage and naval warfare. 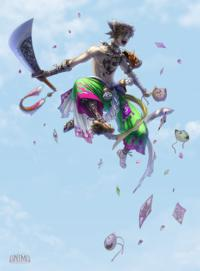 The cards add elements of bluff and surprise more traditional hex-and-combat-table games cannot. TW isn’t a simulation and isn’t intended to be. It’s a "gamer’s game" with quick, user-friendly combat systems on land, in the air and at sea. 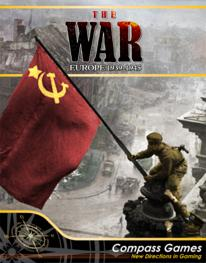 Veteran gamers familiar with classic WWII strategic level games should pick up the game very quickly. The Battle of Medina de Rioseco, 14 July 1808, was fought during Napoleon’s War in Spain between two Spanish Armies under the commands of General Joaquín Blake and General Gregorio García de la Cuesta, and Marshal Jean-Baptiste Bessières in which the Spanish force was defeated after a closely fought, but determined assault by the French. Medina de Rioseco was the sole French triumph in the initial invasion of Spain, which failed to seize the country, ultimately requiring a fresh campaign by the Grand Armée under the command of Napoleon himself to (temporarily) secure Spain. 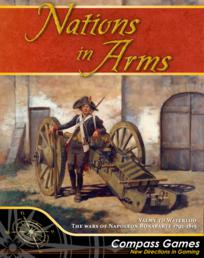 Medina de Rioseco is the sixth game in the Eagles of the Empire series, and is a stand-alone add-in battle to Spanish Eagles (Talavera, 27th and 28th of July 1809, and Albuera, 16th of May 1811.) and is completely playable by itself. 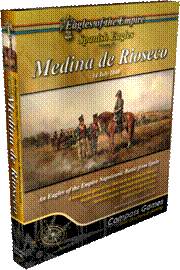 Medina de Rioseco features both a historical and alternative battle that allows players to recreate the engagement as it was fought or to bring in additional Spanish forces available but not present at the battle. Game design by Brien Miller and Mark Searle. Coming back in stock in October! 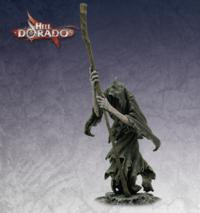 New from Fantasy Flight Games! Evil lurks in the darkness between the stars. Will you face it? 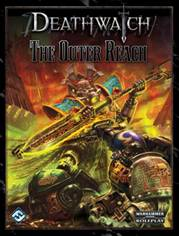 The Outer Reach, a supplement for Deathwatch, explores the worlds beyond the grasp of the Achilus Crusade, including those held by the ancient Necrons. Meanwhile, this arcane tome gives players and Game Masters never-before-seen access to the enigmatic Dead Cabal, a mysterious circle of warrior-scholars who have devoted their lives to fathoming the unfathomable. Bring the light of the God-Emperor to the dark corners of the Jericho Reach! The war for the doomed city of Zverograd heats up in Campaign Book Hades, a supplement for Dust Warfare! 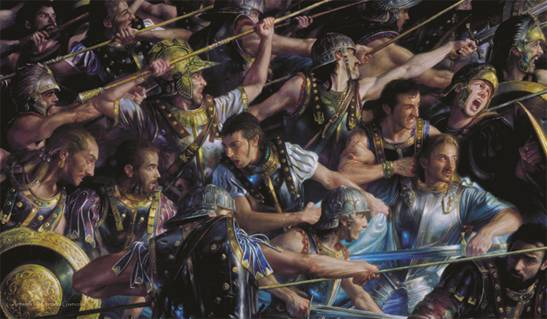 The pivotal battle has dragged on for months, and all three factions now seek any means of breaking the stalemate. Campaign Book Hades includes new unit stats, rules for superhuman characters, never-before-seen special abilities, and Tesla weaponry. 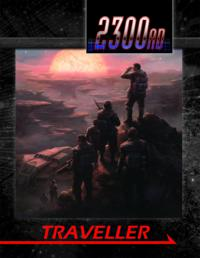 What’s more, this jam-packed resource features the epic Hades Campaign, a long-term conflict in which players plan their engagements using a detailed overland map of Zverograd. 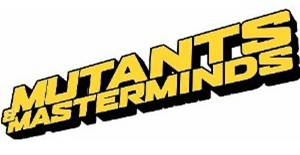 New Mutants and Mastermind Handbook from Green Ronin! The Supernatural Handbook is a sourcebook of heroic horror for the Mutants & Masterminds Superhero Roleplaying Game. It lays out the elements for a successful M&M game in which the strange and paranormal are true and a few lone heroes struggle against the Things That Go Bump in the Night. The Supernatural Handbook includes detailed information on character creation, horror-themed series, and adventure design, and a complete system for building your own supernatural menaces for your heroes to hunt (or to hunt them...). You’ll find hero and villain archetypes like the Curse-Burdened Adventurer, Noble Monster, Dark Emissary and Inhuman Juggernaut. The book also introduces the organization ARCADE (American Research Center for the Arcane Defense of Earth) and its agents, who wage a secret war every night. Join the fight against ancient evils and occult menaces with The Supernatural Handbook! 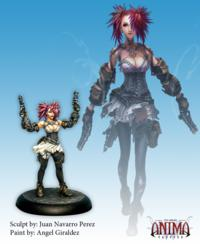 New Miniatures from Cipher Studios! New Movies from MPI Media! On 17-year-old Kate’s last weekend in town before heading to college, she and her geeky friends head to SpaceCON, the local sci-fi convention. There Kate meets Paul, a recently turned teen vampire. When Kate tries to make a move on him, he bites her in the neck. Soon Kate and her friends discover that Paul is not the only vampire at the convention, and it is now up to them to stop the undead and find a way to save Kate before she too turns. The third feature written and directed by 18-year-old phenomenon Emily Hagins, MY SUCKY TEEN ROMANCE is a smartly comic take on the horrors of adolescence. 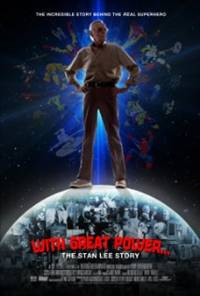 A documentary on the life and creations of Stan Lee. Stan Lee is the co-creator of Spider-Man, Hulk, X-Men, Fantastic Four, Iron Man and over 200 other characters that can be found in comic books, movie screens, and in retail stores around the world. New Marvel RPG from Margaret Weis! New Bible Edition Games from Cactus Game Design! New Dice Bags from Gallant Hand Gamers Gear! New Munchkin Goodies from Steve Jackson Games! New Board Game from Ares Games! 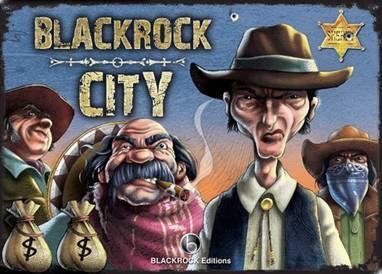 New Expansion to Banditos from Baksha Games! 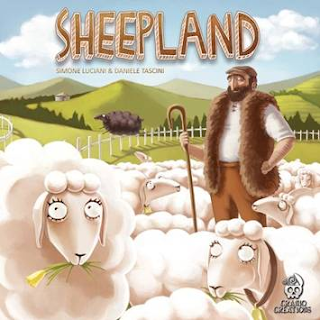 New Negotiation Game from Stronghold Games! 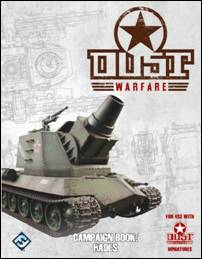 New from Miniature Building Authority! New Original Series Star Trek DBG from Bandai! New Dungeon Crawler Starter from Gifted Vision! New Cartographer Set from ProFantasy Software!